The CyanogenMod team released its GallaryNext app after the announcement of deciding to fix the AOSP Gallery on Google+.the AOSP gallery was severely lacking and the new app is meant to be handling your images. To try this app out, you can download the beta version that is available directly from the Google Play Store, however you need to join the CyanogenMod community to download the app. 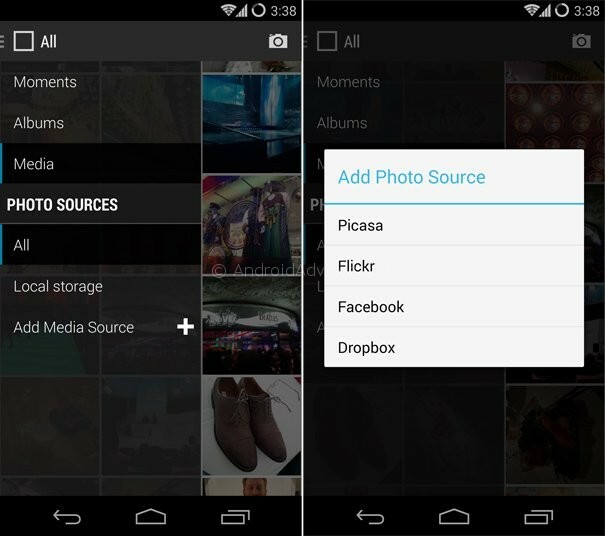 The GalleryNext app lets you to view pictures in one central location without having to shift from folders to folders, and also offers cloud service integration with Flickr, Picassa (G+), Facebook and Dropbox to the users. The app will also include what CM calls Moments support, which is the grouping of media based on metadata. GalleryNext also includes support for video playback and for Gif files. And with Deduplication in “All” view, you won’t lose available storage to duplicate content. To join the community, click the Google+ link here and later click on this link to join the beta and download the application. Let us know how you feel about the application after getting it downloading it. Cyanogenmod team has been doing some excellent stuff in the recent past, after making itself available on the Play Store, and there have been several nightlies made available for different smartphones, to make it easier for the users to change the interface and the ROM in their device.